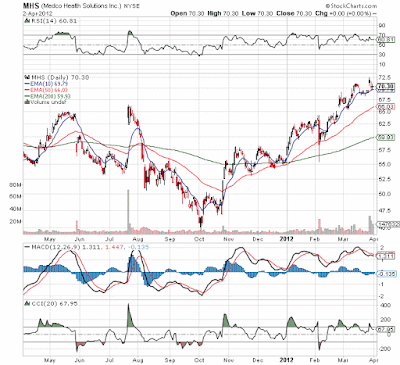 Finally the merger of Express Scripts (ESRX) and Medco Health (MHS) closed today. It took since last July to close the merger and any investors holding on this period had limited gains. See graph below nothing the Medco stock closed around $67 around the announcement and only recently reclaimed those levels. Unfortunately our Net Payout Yields model held onto the stock for that period, but at least the end result has been positive. As of the close today, each original Medco share would be worth $73.75. Now the key to holding Express Scripts going forward will be whether the combined company continues funding huge dividends and buybacks. See our previous blog post after the original announcement. The company expects synergies of $1 billion once fully integrated, which represents approximately 1 percent of the combined company's costs. The transaction is expected to be slightly accretive to earnings per share (excluding integration and deal-related costs and charges) in the first full year after closing and moderately accretive once fully integrated. 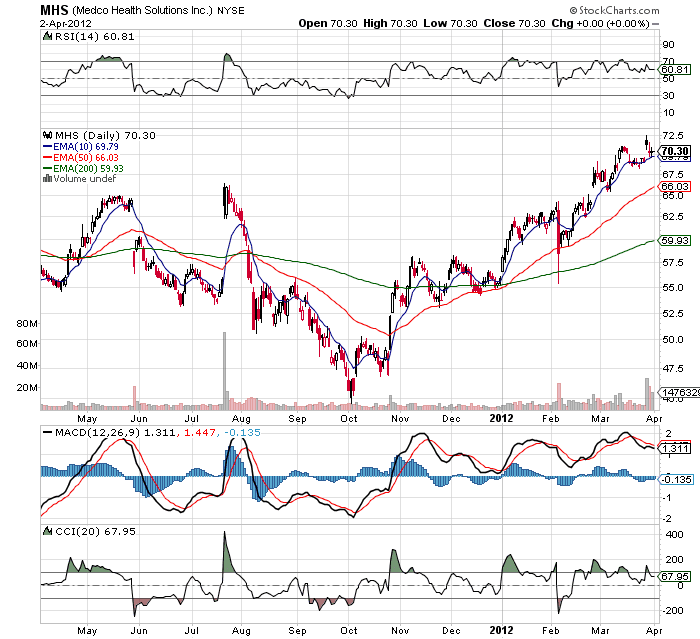 Long: ESRX via MHS shares. Please review the disclaimer page for more details.